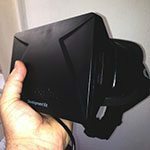 For me – primarily as a life long gamer and secondly a 3d and motion graphics artist – The news of a proper high resolution stereoscopic VR headset was initially met with massive excitement but also mixed with an air of caution that this could be another uneventful experience of that seen in arcades of the 90’s. Let’s face it, VR was naff back then. The experience was usually in a small roped off area in a crowded arcade with ‘helpers’ on hand to plug you in. Small crowds looked on with amusement as the poor victim that had just spent his weeks pocket money tried to grab and touch the pixelated of objects in front of them. It should have been a hit, it should have been the second coming of gaming but it failed. Probably due to a lack of game developers able or willing to start creating games in a 3d engine, and how would the gaming machines of the 90’s cope with such technology? It just wasn’t possible. 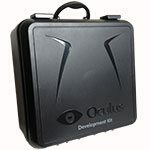 20 years later a young chap named Palmer Luckey began a Kickstarter campaign based around his dream and vision of how Virtual Reality within a gaming environment should be. It took less than 6 hours for Palmer and his company to raise the benchmark $250,000 and surpassing thier expectations, another 36 hours for the campaign to generate 1 million dollars! The Kickstarter campaign eventually ended with a whopping $2,437,429 !! 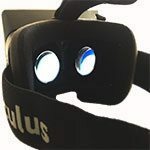 This money was donated largely by developers and individuals keen to get their hands on an Oculus Rift development kit so they would have enough time to create content for the consumer version, within a planned 2 year window. I was one of those backers ! I’m not going to lie… my initial reason for donating my cash to receive a VR developer kit, was purely to get to play with it as quickly as possible! I didn’t want to wait 2 years!! I wanted to experience it now, now, now! It took about 6 months to arrive mind you. In a nutshell… Bonkers Amazing! 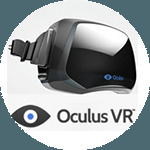 Once you have downloaded some example files from the main Oculus site (these include Unity and Unreal engine samples) , followed the instructions that are found inside the exciting dev kit case – you are ready to experience your first full stereo 3d vr moment. The first thing I noticed (being a bit of a picky chap) was the pixels on the screen, you can see them pretty well but as this is a developers kit it IS a low resolution version of the consumer product, which promises full 1080 HD, rather than the current 1280 x 800. After swallowing that minor gripe I realized that I felt like I had just dipped my head under water whilst holding goggles over my eyes. You feel ‘dipped’ in to another place, much like under the sea or swimming pool, you are aware that there is a normal environment outside of this but you are also aware how submerged you are in this new world. The first thing your brain wants to do is see your own arms but they aren’t there, and then, “where are my feet?”, that is how good it is, your brain is completely fooled. The amazing part is obviously looking behind yourself, above yourself and below. Using movement with the controller as well as moving your head does give some slight drowsy feelings much like pulling G on a roller coaster. You just cant stop wanting to touch and grab things and straight away I want more, more immersion, I want to see my limbs, I want to feel the heat from the fireplace in the Tuscany demo from Unity. Again though, these are all natural reactions from my brain, because it wants to believe, it wants the gaps filled in. The longest I have gone for thus far (I have only had it a day) is 30 minutes. When you come out, your brain sort of emulates the slightly non-real movement (only slightly) from inside the Rift, to the outside world. You will find turning your head makes your eyes drift slightly behind where they would normally be focused on; where you wanted to look. This lasts a maximum of 5 minutes and isn’t too bad at all. Similar to coming out into the daylight after watching a movie in the cinema during the day. Some people are getting motion sickness worse than others. Oh and my wife, mother and mother in-law pretty much fell over whilst using it but my kids were fairly rooted in comparison. The content currently available for download is fairly thin on the ground at the moment, not the type of quality that will be out for the consumer version but also pretty fun and mainly focused towards experiences; notably ‘Titans of space’ which sets you inside a small transparent interior which travels past numerous planets viewing information on each including distance from earth, size etc. There are lots of little indie outfits making experiences and even more individuals getting their heads around real-time 3D environments to create content for the Rift. 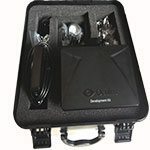 Expect loads of content for the PC when the rift actually hits the market in the coming years, with all sorts of experiences and games to explore. I’m personally looking forward to some horror titles which unless you have experienced the Rift you can only imagine how much they will grab your attention. I will soon be developing some niche experiences of my own for the Rift. I’ve got bundles of ideas that aren’t just geared toward gaming, so watch this space for updates on those. 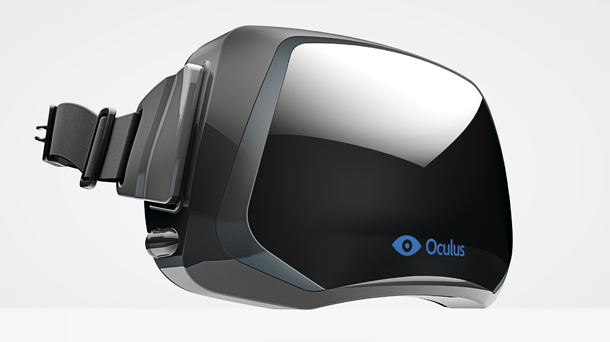 The Oculus Rift will completely change gaming forever, it might even change more than that, in fact what it actually does is bring back those first amusement arcade feelings you had as a kid…which is a very big thing indeed!